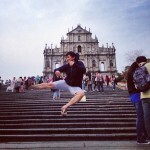 Hong Kong is one of my favorite city in the world. 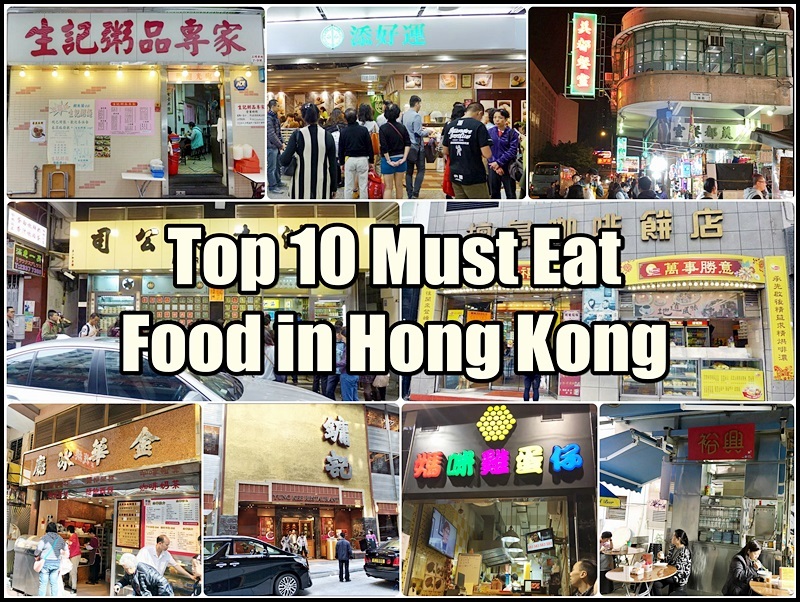 It’s not only a shopping paradise for shopaholics but also a food haven for foodies like me 🙂 There are a variety of food choices from street food to Michelin-star restaurant that you’ll be spoilt for choices. 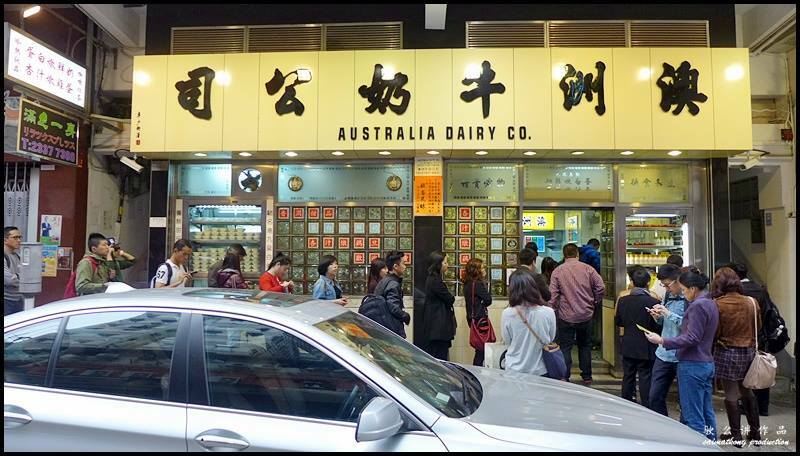 Australian Dairy Company 澳洲牛奶公司 is one of the famous cha chaan teng in Hong Kong. Service is quite bad here; you have to order fast, eat fast and be prepared to queue for an hour just to get a table :/ Why come here then? Coz they serve the best scrambled egg with toast! The scrambled egg is very fluffy, crispy outside but soft inside….its just purr-fect!!! Direction : Jordon MTR – Exit C2 ( Right ). Walk ahead to the junction and then turn right. 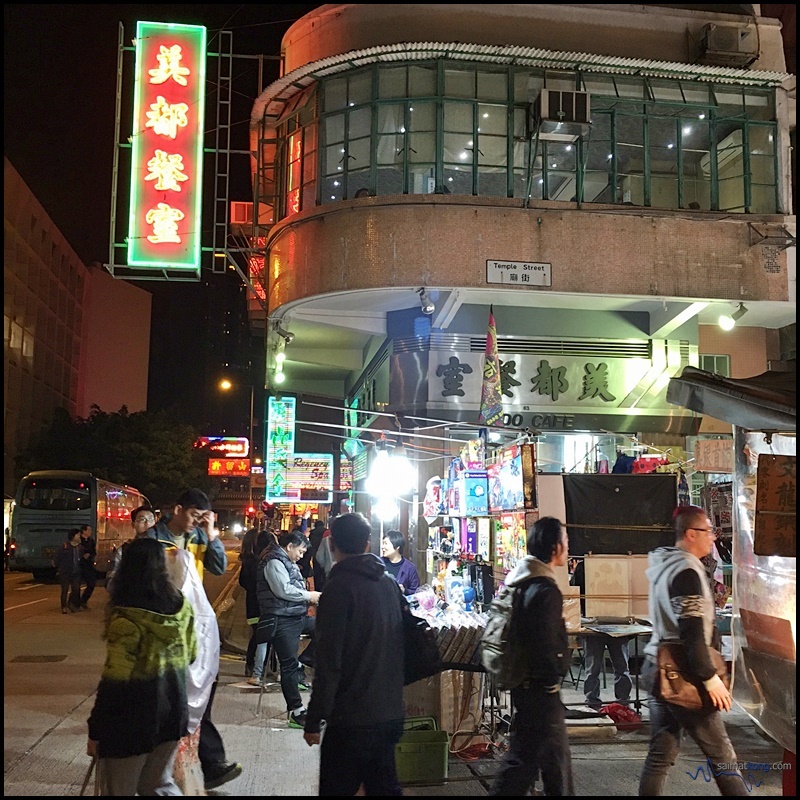 Mido Cafe 美都餐室 is famous Coz it’s one of the oldest cafe in HK and it’s often used as backdrops in HK films and HK dramas. To-date, it’s decor remains the same; retro furnitures, mosaic tiles and bench seats. 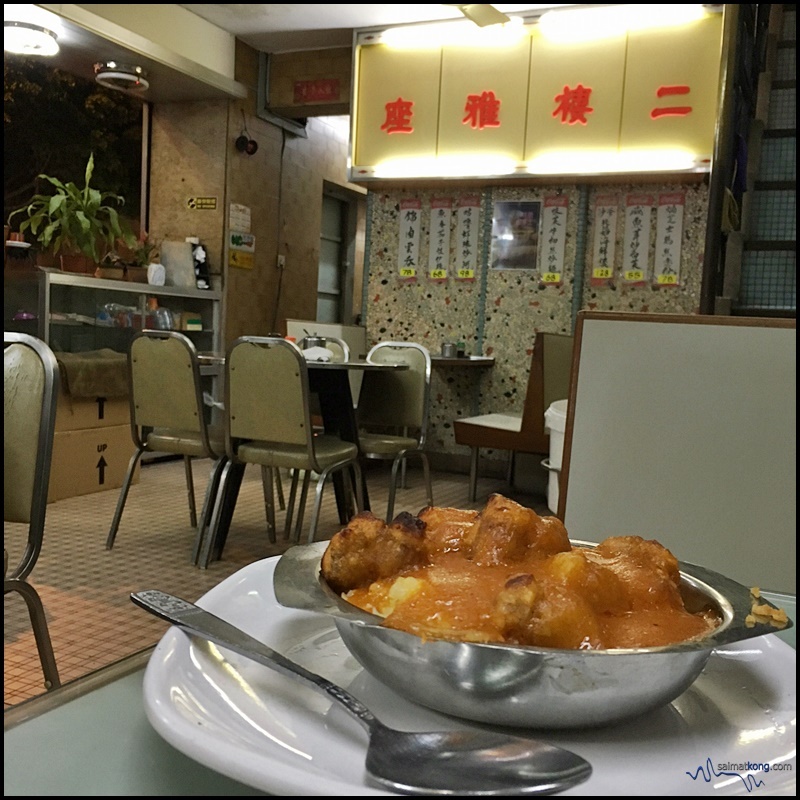 Mido Cafe’s signature dishes include Baked Spare Ribs with Tomato Sauce Rice 蕃茄焗排骨饭 and French Toast 西多士. 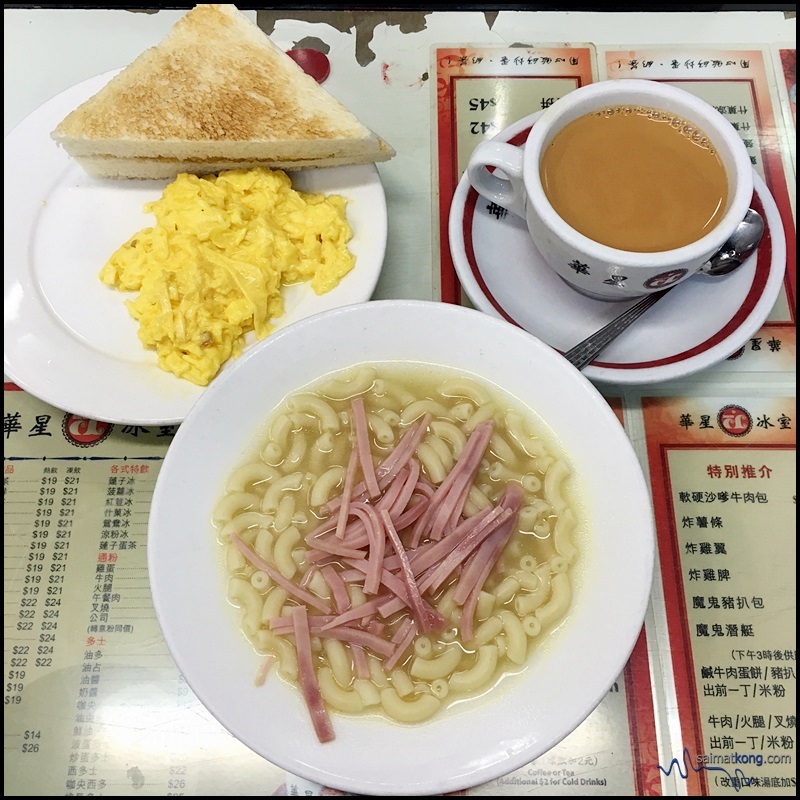 Hongkie loves to have congee with fried cruller and noodles for breakfast. 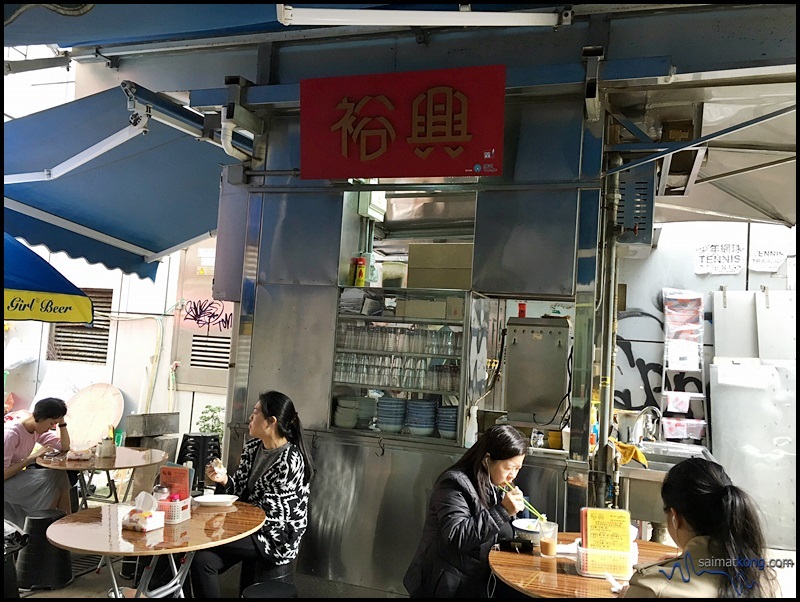 While there are many congee shops in HK, I personally think Sang Kee Congee 生记粥品 in Sheung Wan serves the best congee which is flavorful and have a smooth consistency. 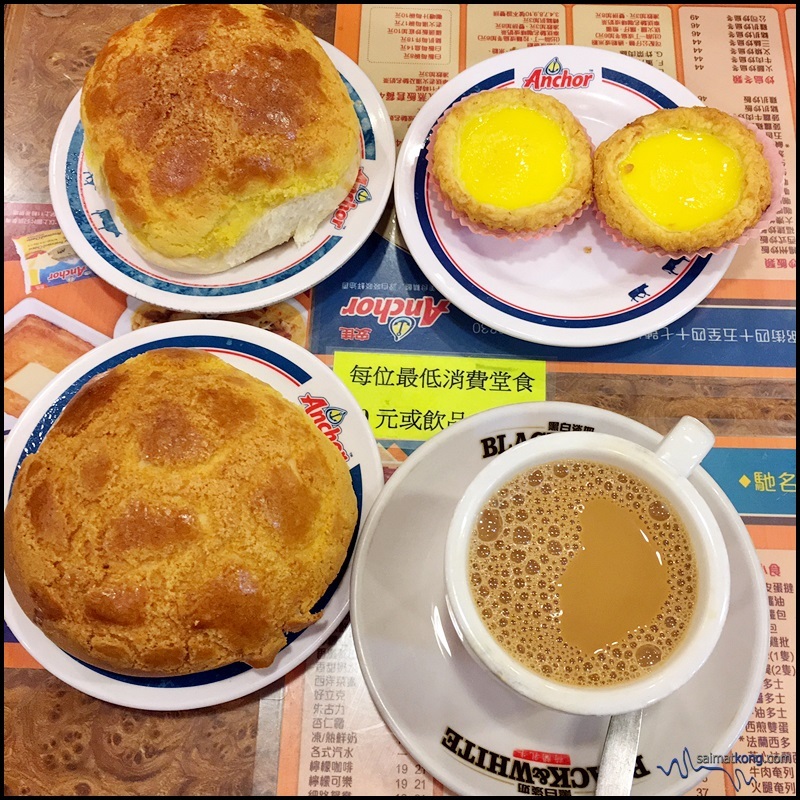 When in Hong Kong, you have gotta try the egg tarts and polo bao (pineapple bun). 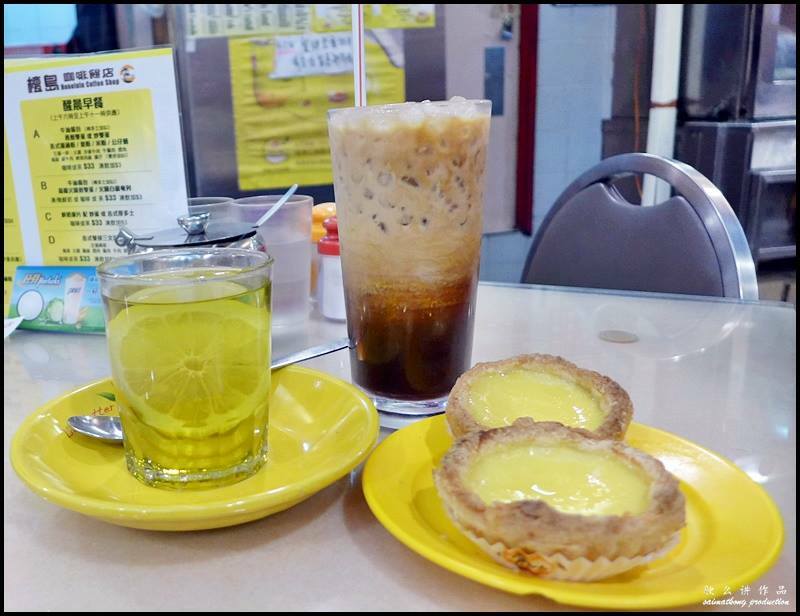 Honolulu Cafe 檀島咖啡餅店 in Wan Chai is well known for its delicious and flaky egg tarts. Grab a piece or two and eat it while it’s hot. 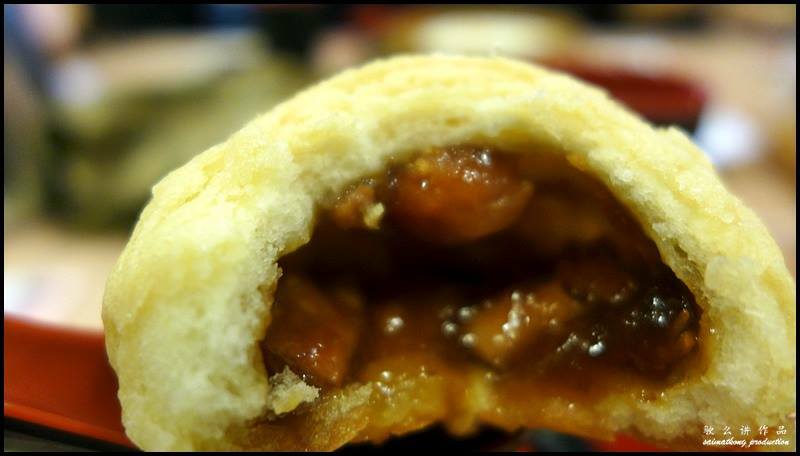 Love the crumbly and smooth custard filling. Yums! 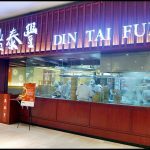 Tim Ho Wan 添好運點心專門店 is a famous 1 Michelin Star Restaurant headed by Mak Pui Gor, the former dim sum chef at Hong Kong’s Four Seasons Hotel’s restaurant, Lung King Heen. 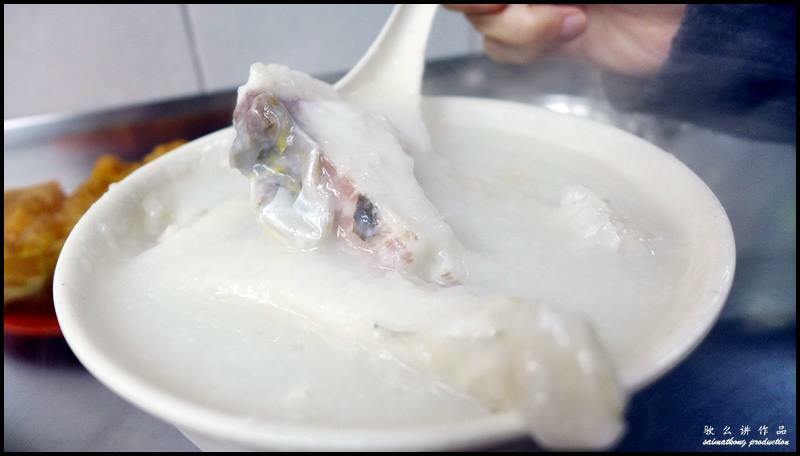 There are a variety of dim sum to order which includes sticky rice wrapped with lotus leaf in traditional style, steamed rice rolls, steamed ma lai koh, steamed prawn dumplings and baked barbecue pork bun pastry. 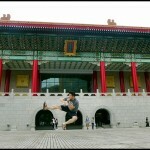 Oh, did I tell you that their BBQ Pork Bun 酥皮焗叉燒包 is super yummy? 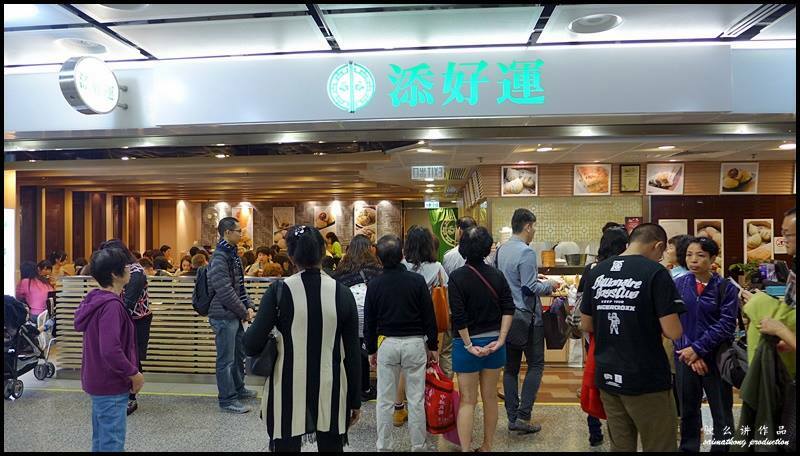 It’s a must-order when you eat at Tim Ho Wan. 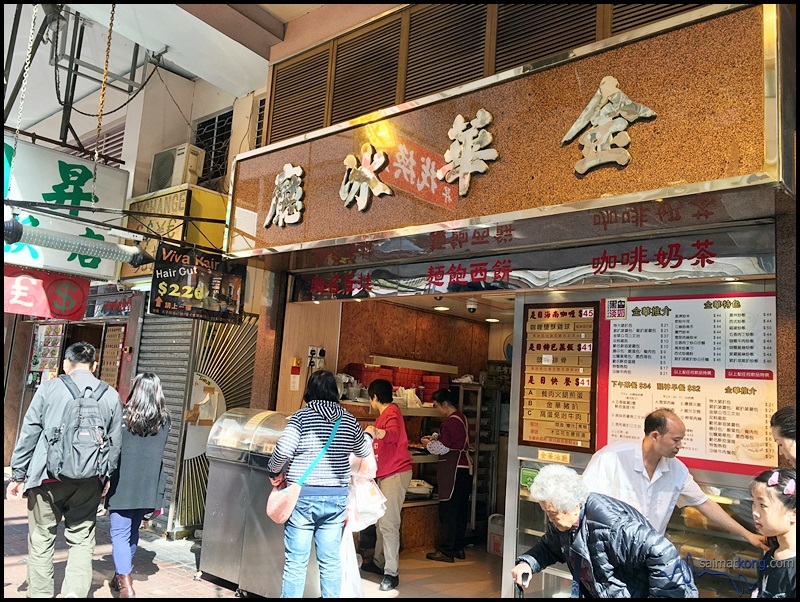 Fei Jie Snacks Shop 肥姐小食店 at Mongkok is famous with both locals and tourists its braised stuff like octopus, chicken kidney, sausage, gizzards, squids and pig intestines. 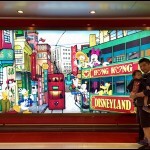 Besides egg tart, HK is famous for its polo bao 菠蘿包. 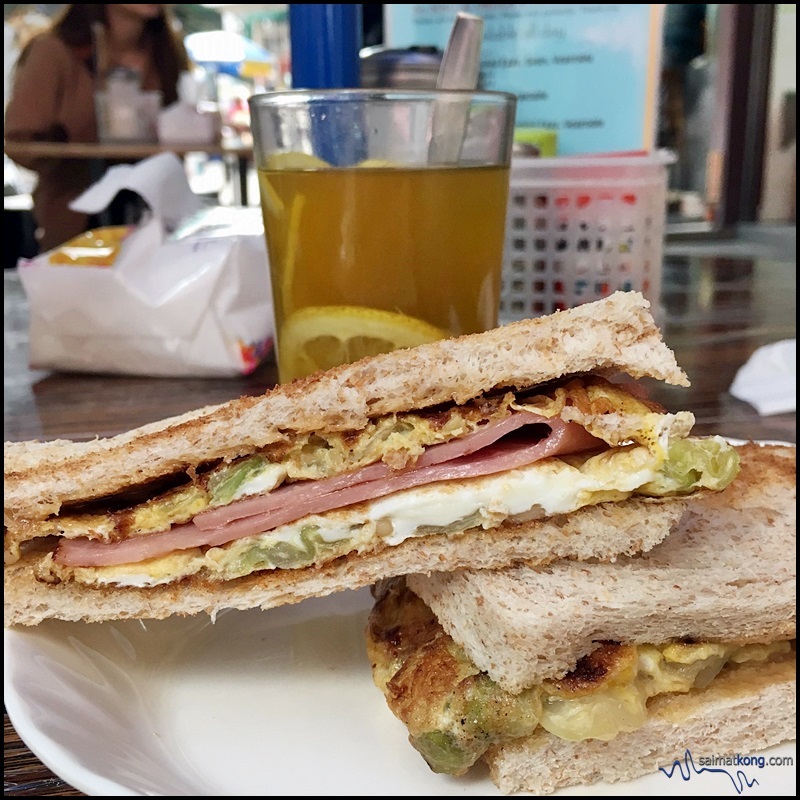 Kam Wah Cafe 金華冰廳 at Mongkok is the best place to go for freshly baked polo bao or also known as pineapple bun (there’s actually no pineapple inside). 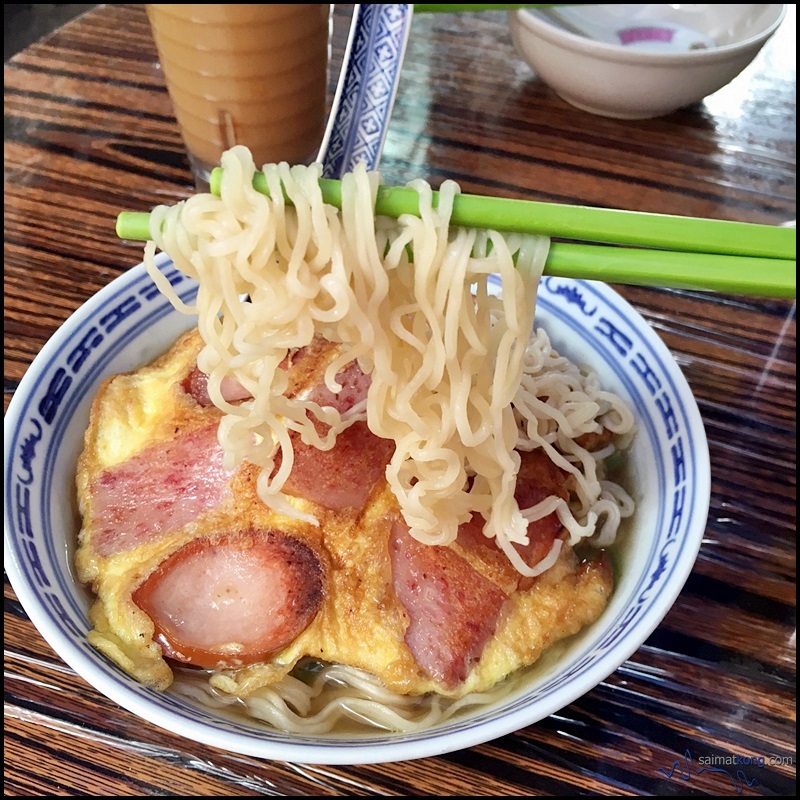 You can also try their egg tarts and French toast which I personally think is average but their signature polo bao is the best. 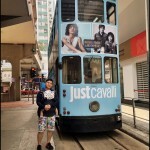 Address: 47, Bute Street, Mong Kok, Kowloon, Hong Kong. 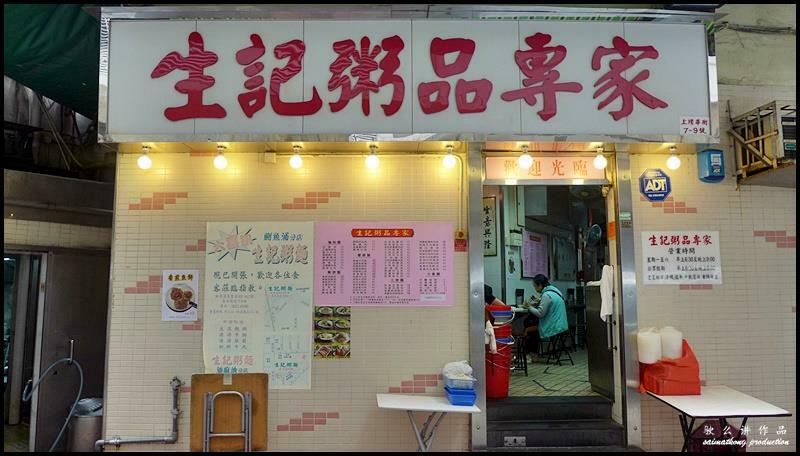 When in Hong Kong, one of the must eat is definitely roast goose. It’s also a popular food souvenir to buy back for your family and friends. 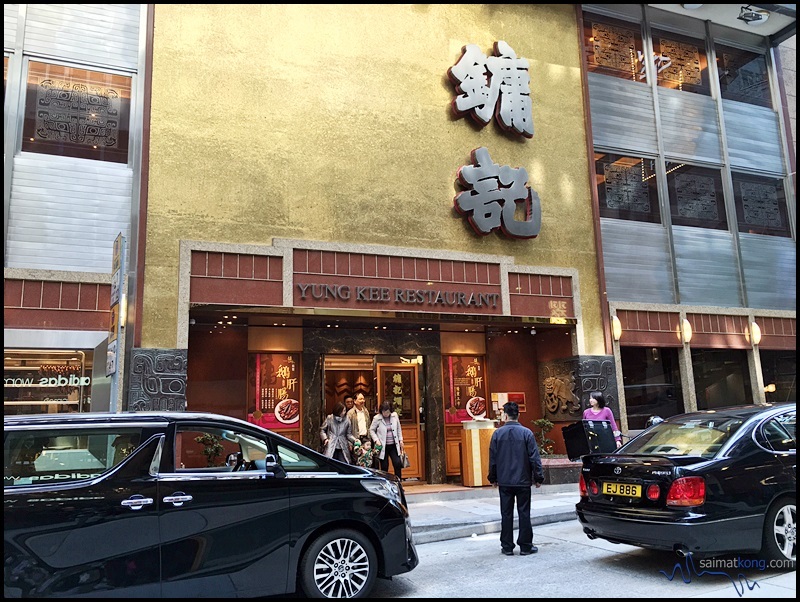 Yung Kee Restaurant 鏞記酒家 in Central is well known for its century egg and roast goose. 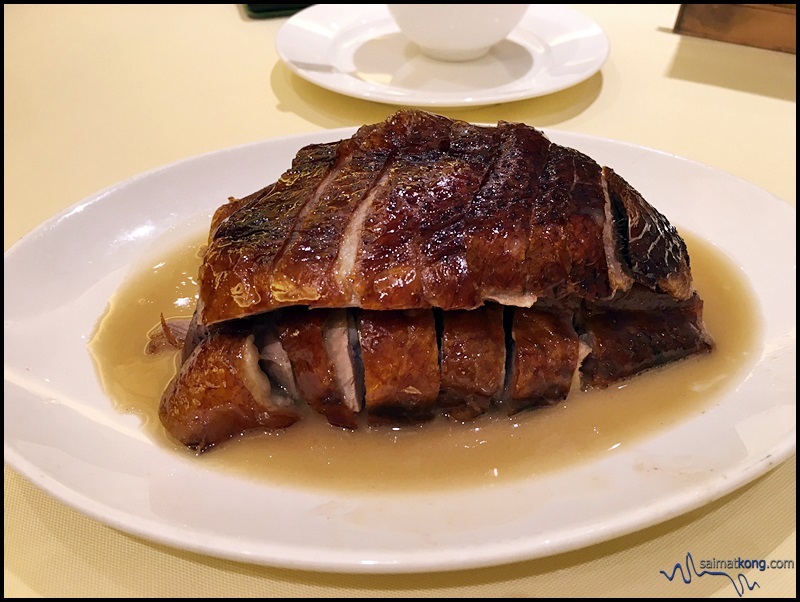 The roast goose at Yung Kee has a crispy crackling skin and the meat is juicy. Eat it with their plum sauce- it’s just heavenly. 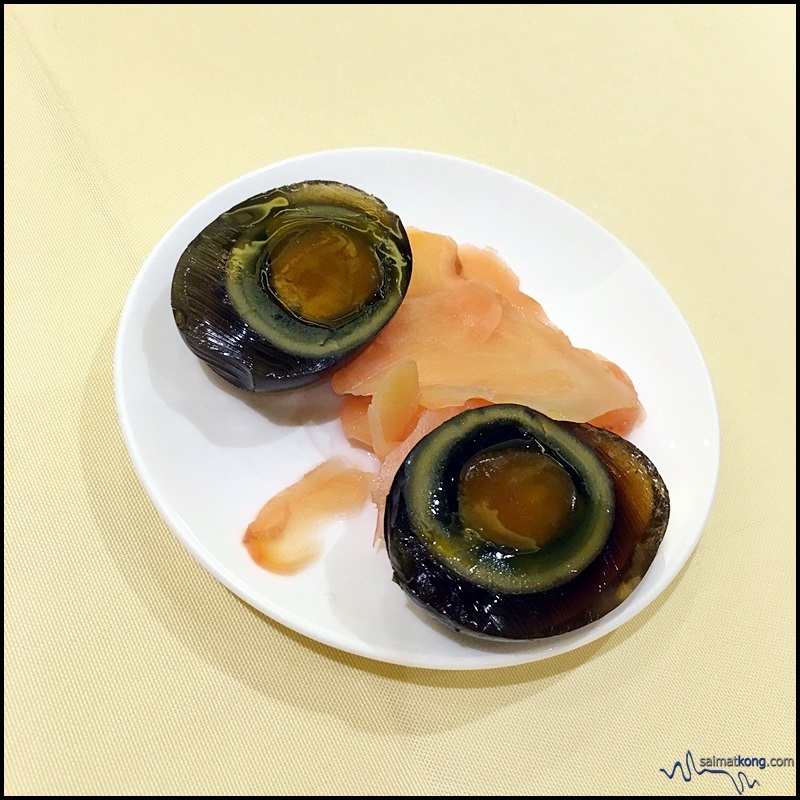 You’ve got to order their famous century egg appetizer too – it’s very yummy! 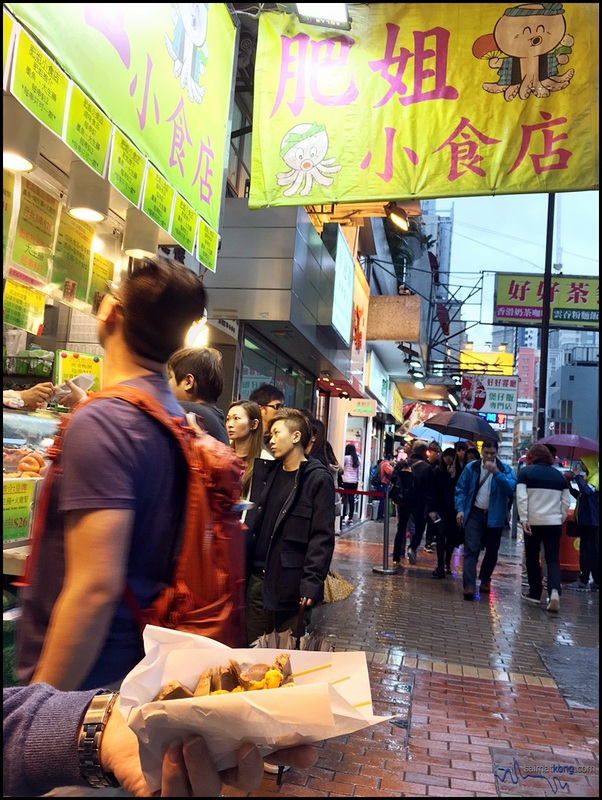 One of the famous street food in HK has got to be egg waffles or also known as eggettes. 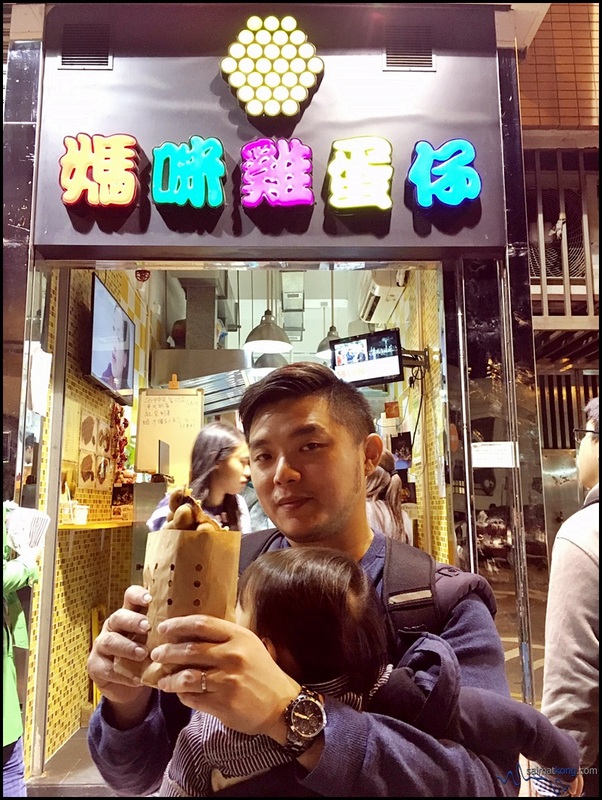 While most people will go North Point for egg waffles, I personally love the egg waffles from Mammy Pancake 媽咪雞蛋仔. 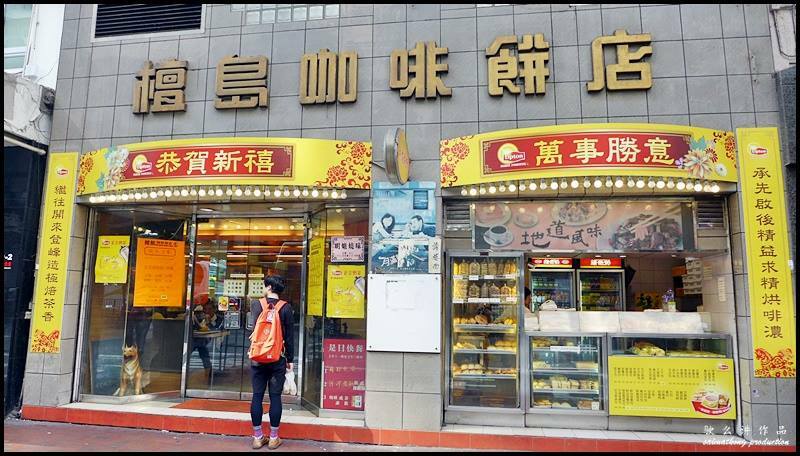 There are a variety of flavors to choose from chocolate, chocolate chip, taro, green tea and red bean, sesame, cheese, sweet potato, original and mango to name a few. The bite sized egg waffles are superbly crispy on the outside but inside it’s very soft. Just can’t stop biting it!